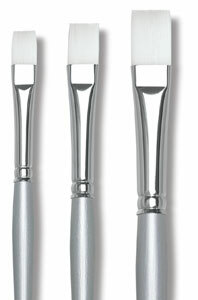 Silverwhite soft white synthetic brushes are made using specially selected filaments of varying length and thickness that are blended together. This blend creates a special brush that will hold sharp edges in flats and fine needle points in rounds. 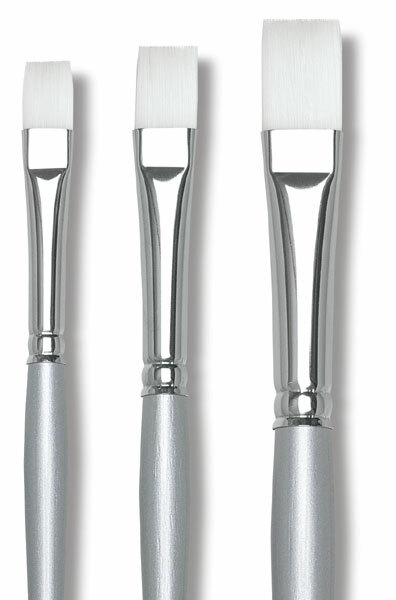 ® Silver Brush is a registered trademark.® Silverwhite is a registered trademark.